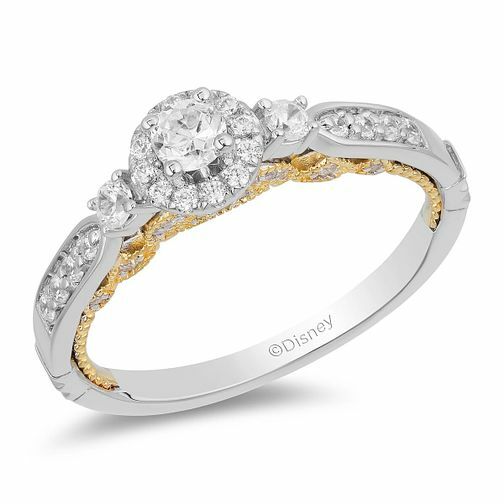 Inspired by Jasmine, this divine Enchanted Disney Fine Jewelry diamond ring is captivatingly crafted from 9ct white gold. With stunning stone set embellished shoulders, this gorgeous design displays a dazzling round centrepiece and sparkling halo. A contrasting 9ct yellow gold gallery proudly presents further dainty diamonds, with intricate cut-outs and antique milgrain decoration. The total diamond weight of this ring is 0.50ct.